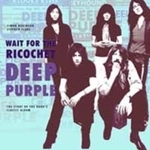 A Matter Of Fact is the perfect companion to Deep Purple's music. Full of bizarre, obscure and amazing facts that have surrounded the band throughout its career of over forty years. 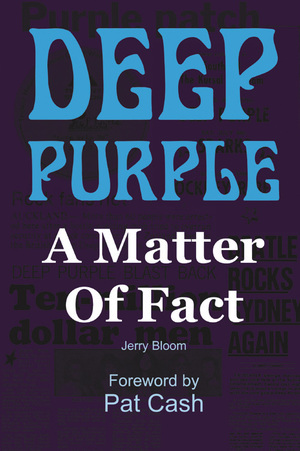 If you have ever had disagreements with fellow fans about various facts or want to test the biggest fan on just how good their Deep Purple knowledge is, then this is the book for you. 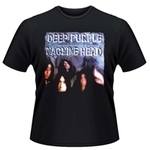 * How did Ian Paice and Rod Evans end up supporting Deep Purple? * Why did Ritchie Blackmore's country and western guitar playing save him from a beating? * Why did Dire Straits' Mark Knopfler review a Purple gig? * Who first recorded versions of several Deep Purple songs, complete with an orchestra? * Did Deep Purple's explosive performance at Plumpton really prevent Yes from performing? * Who did Deep Purple sue for selling bootlegs? * Which big rock star did the band get in a spat with at Knebworth? * Why did the Bee Gees receive Purple's lifetime achievement award? * What was Deep Purple's involvement with a film about a sixteenth century naval explorer that never got produced? * Why were some of Deep Purple's recent gigs illegal? The answers to all these questions, and many more amazing facts are revealed in this captivating book, which includes a foreword by tennis legend and Purple fan Pat Cash. Based on interviews with band and road crew members, contemporary press articles, and drawing on management files, A Matter Of Fact helps to clarify the truth behind several stories. It also dispels some untruths once and for all, as well a few previously un-revealed new stories that will appeal to even the most diehard fans. 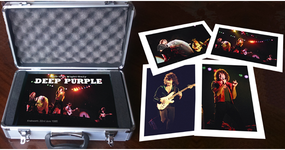 Jerry Bloom does an amazing job of collecting a collage of information and stories of the band members when they were in and out of their various bands before, during and after Purple. 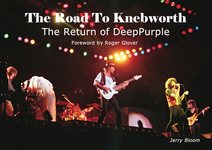 The stories will keep any Deep Purple fan enthralled. As anyone in showbiz will tell you there’s always a whole lot more going on than it appears. This book is not just about the rock ‘n’ roll lifestyle but an insight in to the tough day to day grind of a group of amazingly talented artists all with differing personalities.